We get a lot of questions about caring for chickens during cold weather. With the winter approaching, here are our top 5 winter tips. None of us want to do that! Avoid this by getting a heater base for your metal waterer. It’s simple to use. Just plug it in and sit your waterer on top of it. It has an internal thermometer that allows it to turn on when it needs to and turn off when it needs to. It does not heat the water, but simply keeps it thawed. If you have a plastic waterer, get one made for plastic that sits in the water. In addition to their normal feed, give scratch or other grains like cracked corn to your chickens during cold temperatures. Scratch gives them extra body heat because grains contain simple carbohydrates. Grit is important to add during the winter months. The consistent snow covering the ground does not allow them to get to soil and pebbles in your yard which they normally eat for this purpose. Grit aids in properly digesting hard grains, among other things. This means that your chickens will get more nutrients out of their food. Also, adding a vitamin & electrolyte supplement to their water is a great way to give them more nutrients needed for energy and warmth. Because your chicken’s warmth comes from their food, they will thank you! Chickens are great at controlling body temperature with their feathers and by their natural ability to conserve energy during cold months. But they are only able to do this if they are in the proper environment (in addition to #2, eating properly). Help them stay warm by putting straw in their coop. If you’ve ever watched your chickens during cold weather, you see them puff up their feathers, burrow down, and stick their head into their feathers. This creates a dome that holds heat underneath their top feathers which warms their core. If there is no bedding below and around them in cold temperatures, heat will escape from under them and you may find yourself with a frozen chicken in the morning. Straw allows them to burrow and become little self-containers of heat because it creates a barrier underneath them which holds heat in. Straw bedding actually stores heat itself, much better than pine shavings. This, combined with clustering together, is why they are considered cold hardy animals that can survive during harsh winters. The best bedding to use during winter months is straw. Cleaning the coop where they sleep is especially important because as mentioned in #3, environment is key. Failure to clean your chicken’s coop regularly in the winter months leads to excessive moisture. Moisture plus cold temperatures leads to cold chickens. Give them a healthy environment by cleaning soiled straw and providing clean, dry straw regularly. As far as the run goes, make sure to clean snow out of your chicken’s run. Walking on snow for a while won’t kill them (and some even love it) but being forced to walk directly in snow for days or weeks could lead to frostbite. Close the coop door at night. Even though you have straw bedding allowing them to store heat, cold drafts can bypass that straw and blow straight through their feathers, freezing your chicken. Closing the coop door at night helps to ensure that this does not happen. Cold drafts could be considered the biggest threat to your chickens during the winter. 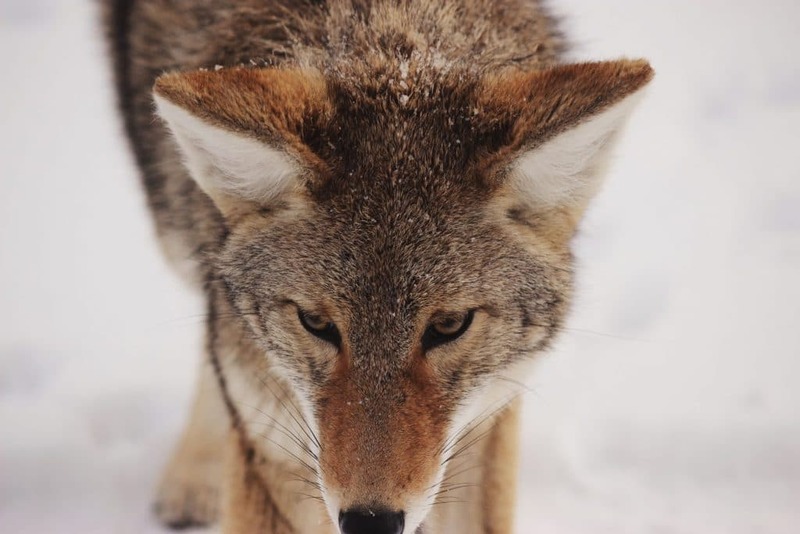 If food is scarce, predators may be active during the winter months and will work to get past your run door. As a second line of defense, a closed coop door at night will also ensure your chickens are safe from predators. Thanks everyone, and good luck this winter. If you have any additional questions, please let us know by filling out the form below or by giving us a call at (303) 424-6455.